Join the AGO Youth Council as they host a night of performances, discussion, and music related to contemporary South Asian artistic practice in Toronto. Featuring performances by LAL, Gitanjali Lena, Srimoyee Mitra and Kaspar Saxena. LAL is a musical ensemble that started in 1998. LAL is about music and social change. We are a collective that represent Uganda, Bangladesh, Barbados, India and everything in-between. We sound like everything, thus we sound like nothing. We love all kinds of music from jazz, hip hop, dub, soul, international folk music, experimental music, you name it, we've probably listened to it at some point and if not then we're eager to learn. 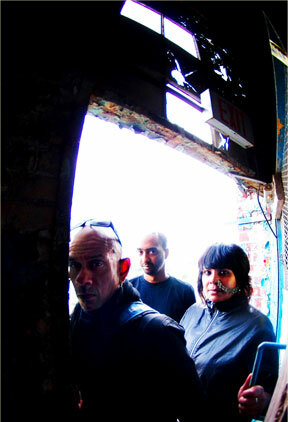 At best we describe the sound of LAL as international folk / electronic protest music. We are not about egos or class but we are about vibe. We are instinctive musicians and people and community means a whole lot. Some of us are activists, some of us are not, but we respect each others' opinions and we love like family. We believe in creating a strong independent music movement and we will continue to make music as long as we can. The AGO Youth Council meets weekly at the AGO to design artistic programming that is relevant and responds to the needs of youth in the GTA. The council's past projects include: The Living Room Project; Hype I, II, & III; and Metro AGO-GO: Youth Propositions for an Ideal City. The AGO Youth Council is a project of Teens Behind the Scenes at the Art Gallery of Ontario. The AGO Youth Council and Free After Three are programs organized by the AGO's Teens Behind the Scenes and the Art Gallery of Ontario. The AGO is always FREE AFTER THREE (3pm-close, Tuesday-Friday) for all high school students and youth associated with a youth organization. It is also always FREE after 6pm on Wednesday for the general public. Come visit the show again and again!